Sainsbury’s customers can now get their hands on the world’s first spreadable ‘Cheester’ egg now in stores nationwide. The Cheesealicious Easter Egg, which is described as the perfect alternative Easter gift for those who favour savoury over sweet, is made entirely from cheddar cheese and comes with oatcakes and chutney. Made from cheddar using the finest milk from Lancashire farms, the ‘cheester’ egg makes a show-stopping cheeseboard centre piece for the family to enjoy following Easter lunch. Emma Garvey, Cheese Buyer for Sainsbury’s, said: “We’re always looking for new and unique products to offer to our customers, especially during gifting periods throughout the year when people are on the lookout for something special to give their loved ones. 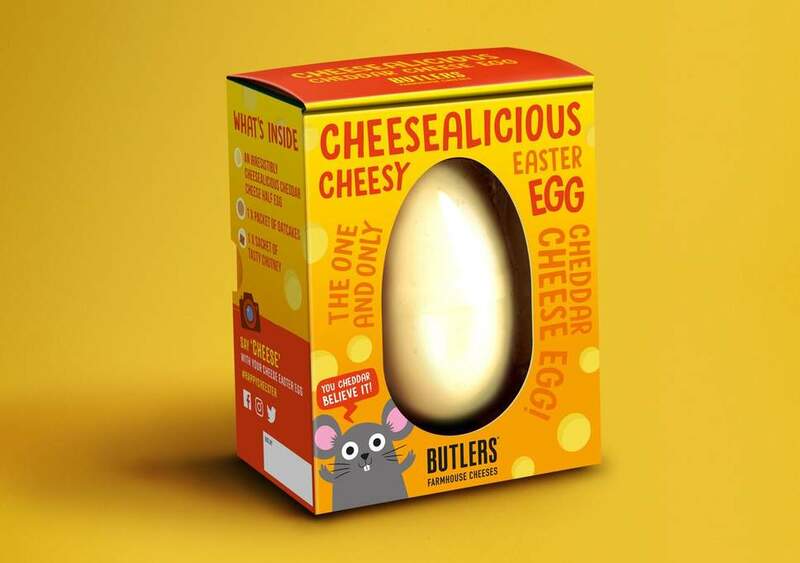 The Cheesalicious Easter Egg pack from Butlers Farmhouse Cheeses and contains 120g of cheddar cheese, one packet of oatcakes, and one sachet of chutney – and all for an ‘eggcellent’ £5 price tag. well, more expensive than Parmigiano Reggiano (price per kilo).